Our back-to-nature barrels are great as planters or storage containers. The classic and simple design brings out the beauty of their natural cedar wood construction. Cedar wood also has a beautiful grain and a knotty grade that add warmth and charm to it. 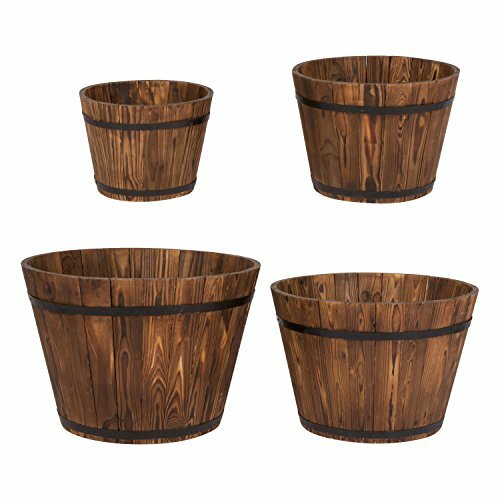 Wood planters expand naturally when filled with soil and water to make the decorative rim fit snugly.